We would like to know a little bit more about the day to day life and the romance between the two F-ONE riders, Alex Caizergues and Marie Desandre Navarre. 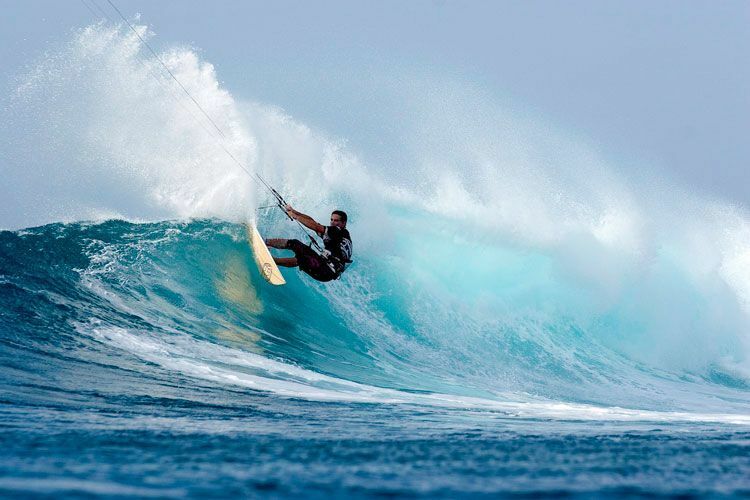 We would like to introduce to you the fastest couple in kite surfing. Alex Caizergues, the 3x world speed champion and record breaker & 3 x Kite speed  world record holder and Marie Desandre Navarre, vice world and french speed champion. We would like to know a little bit more about their day to day life and the romance between the two F-ONE riders. KSm: If we are not mistaken you have been together since 2008 and you met on the beach when you Marie were first starting out on a kite … now you’re both riders for the F-ONE brand. What is a typical day of work for both of you? Marie: Yes that’s right we have been together since the spring of 2008, before that Alex was chasing after for a few months but I managed to resist until the last moment! At that time I discovered the kiting Alex was already living it, and seeing this illuminating life definitely made ? ?me want to do the same thing. Currently, we have the opportunity to live and share this passion together and it’s great, a lot of trips, competitions and meetings, but a typical day is usually fairly trivial in itself. Wake up around 7 or 8 am, breakfast with our friend the mac each one on there own side of the table, especially as I am not a morning person so I always get up a little after Alex and I takes time to emerge from my cocoon …after breakfast however I am super operational and it is time for some sport, but Alex can stay a little longer working behind the computer. So a normal morning routine can be housework, computer work, lunch, kite (as long as there are at least 8-10 knots – long live the foil) otherwise there is always something to do, papers, work on communications with F-ONE especially as Alex works a lot on R&D, or small recipe for me to cook in the evenings. We also love going to the movies and eating sushi afterwards … let’s just say that we do not get bored. KSm: We know that a good balance in a relationship involves a lot of communication and we think you would agree, but Alex, you as the master of the speed discipline – are you able to accept advice and feedback from each other with regards to kiting? Alex: Actually this is quite a complicated situation to advice your partner. We never manage to find the right words and you have to be super patient and a good teacher, something that is often one of the most difficult things for me. Luckily I have found the solution through the intermediary of my father. Through him I give the most amount of feedback to pass to Marie, and for some strange reason she accepts criticism much better when it come from him. 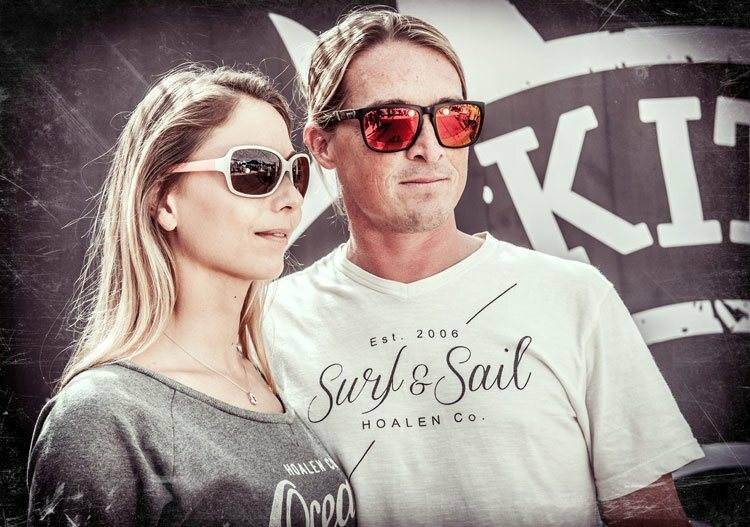 KSm: You have become quite a publicised couple within the kitesurfing industry, is this something that you enjoy of something can also annoy you? Marie: No, it is not at all annoying, quite the opposite, it is a great pleasure to be able to have this image, …and one day when we are both on the cover of Paris Match we will know we have succeeded! Alex: Haha! There is no agent who tells us what we should say or do, so we manage ourselves all our image and are completely responsible for what comes out in the press. Afterwards, if the media cares how we live, what motivates us and what we inspires us, we share it with great pleasure. The day that it annoys us is the day we stop. KSm: We regularly follow your exploits through social media and we see you often at the cable park, sometimes training for speed, and also in freestyle mode, …and of course we know that you love the foil. Which of these disciplines do you prefer respectively? Marie: The magic of water sports is just that, living all of the different ways to have fun in contact with the water. Of course anything on the kite first, but the cable is a great complement when there is no wind. 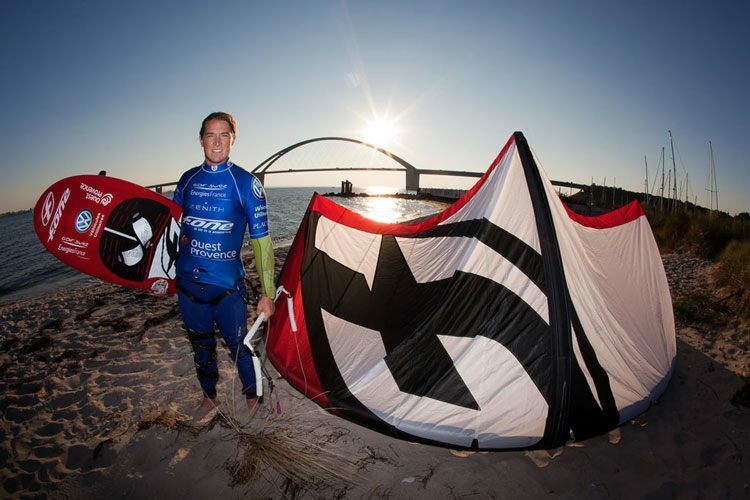 For me I am addicted to the water and kiting, so I choose the discipline which best suits the conditions. If the wind is light, foil, 20-35 knots it’s freestyle, big airs or surf, and then or course comes the speed. Alex: There are two very different sides to it, on one side the ‘pleasure’ part and other competition. For the pleasure part, my favourite discipline remains the waves. In great conditions with strong winds and huge waves, this is where I feel the most pleasure. Then comes the speed in record attempts, so in winds that you don’t even want to leave your house, with a speed clock at the end of the run, that’s where I really come to life. KSm: Mary we know you’re are also a very keen cook and wanted to be a chef … we also know that you want a blog dedicated to the kitchen … so is it you who takes care of the cooking, and do you pay special attention to yours and Alex’s diet? Marie: Yes I love to cook and have fun in the kitchen. To say I dreamed of being a chef is perhaps a strong word but I would have liked to do something in this industry. So yes I’m doing the cooking everyday because for me it is a pleasure, so I try to prepare balanced meals while at the same time keeping the fun and Alex love it, although sometimes he does tell me enough is enough and where to stick my tofu! KSm: We realise that you each love sport and Marie you are passionate about cooking, but you Alex, do you have a secret passion that you have yet to reveal to the public? 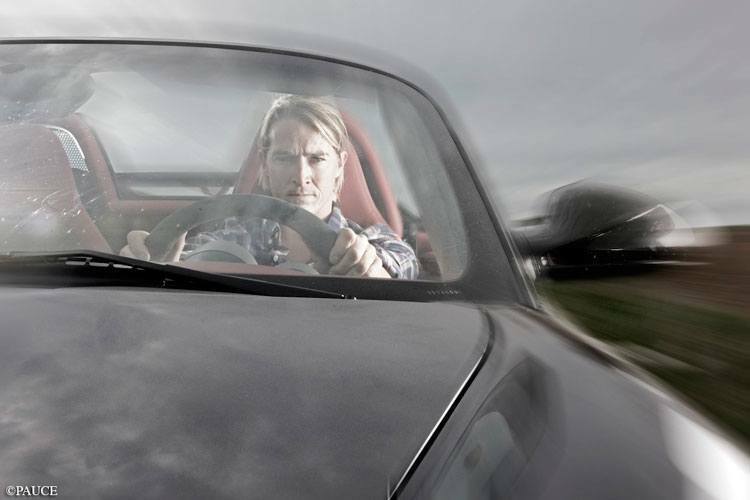 Alex: It’s not really a big secret but I am a huge car fan, motor sport and driving in general. Who knows, it could one day be a career transition! It’s always a story of speed, thrills, steering, stress management, that’s what I like I think! KSm: Being a couple and riding for F-ONE and having children seems to be quite a current trend at the moment, …no names mentioned, …it that some on the horizon for you? Marie: Yes definitely for me, but we can also be selfish and want to enjoy some time for just the two of us. Alex: Marie said it right, no stress, it’s in the making but for now it is time to to enjoy everything we have. KSm: Do you have any future projects you can and would like to share with us? Marie: Alors oui des projets !!! si on arrivait à construire quelque chose autour de kite et de la restauration ça serait le top. So yes ,projects …if we could build something around kiting and a restaurant that would be perfect. Alex: Yes, lots of great projects around the kite (and some not) but you will have to wait and see. KSm: What do you wish for today? Marie: To continue this life as long as possible! New podiums, new records, nice trips, wonderful encounters (also I’d like to meet you in person Sofi) and projects that come to being.